Exhibiting at the Vancouver Convention Center looks and feels like a dream, nestled on the gorgeous sea wall of the Vancouver downtown harbour. Walking distance to the historic cobblestone community of Gastown, you will find it easy to combine business and pleasure while promoting your business in this West Coast gem. We have the finest selection of exhibition solutions and trade show displays to help you stand out above the crowd! Trade show exhibiting not only promotes your brand’s visibility but also enhances your credibility and acts as a platform for you to meet new and potential customers. In fact, your mere presence at a trade exhibit may assert your dominance and reliability in your distinct industry. Where is the Vancouver Convention Center Located? The Vancouver Convention Center is located at 1055 Canada Pl, Vancouver, BC V6C 0C3. It is one of the largest convention centres in Canada and is nestled in the scenic waterfront of one of the most pituresque cities in the world! What objectives are you intending to achieve at the show? Do you intend to socialize, make sales or widen your contact? It is through understanding your objectives and the type of product or service you intend to promote that will enable you to select the best show booth which will maximize your ROI. Note that the type and design of trade exhibiting booth you opt for will profoundly impact your presence and the response you obtain from potential customers. To effectively attain your exhibiting objectives, ensure to highly publicize your booth prior to the commencement of the trade show. Publicising your show booth ahead of the event often helps to ignite some hype campaign that works for your brand objectives. If you manage to create significant anticipation and impetus, you will realize a proliferation of both current and prospective clients towards your booth. It is prudent that you design or opt for a booth with ample space to accommodate all these clients. It is critical that you position your company distinct from other services. Besides conveying significant information about your products and services, trade show booths also distinguishes you from your competitors. 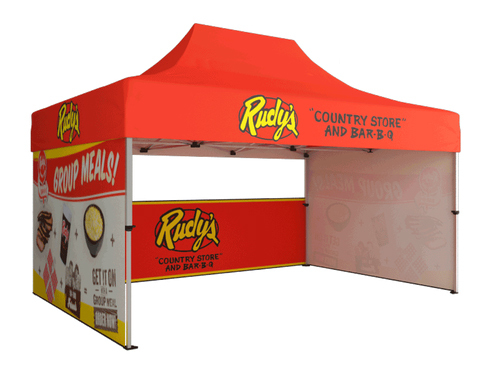 A good booth will go an extra mile than just communicating to your potential clients about you and your products or services. It will elaborate and emphasize why your company is a good fit over your competitors in meeting their needs. Simply put, regardless of your main selling point, make sure that your exhibiting booth highlights this aspect and invites potential clients.